Howdy readers, glad to see the old essential oils are still working magic for your health and well-being. If you’ve been following my recent posts, you’ll notice that most of them have something in common. That’s right; they’re all talking about issues to do with the respiratory system. By now, you’ve no doubt realize that your breathing system is far more sensitive than you previously thought and prone to getting literally hundreds of different ailments. Keeping in the same spirit of maintaining healthy and efficient ventilation systems, I’ll be touching on another respiratory condition that affects around 300 million people annually. Now, when you catch a cold or the flu, you’re usually lucky if it runs its course in a couple of weeks and goes away. However, they may sometimes develop into one of the most common airway problems – Bronchitis. 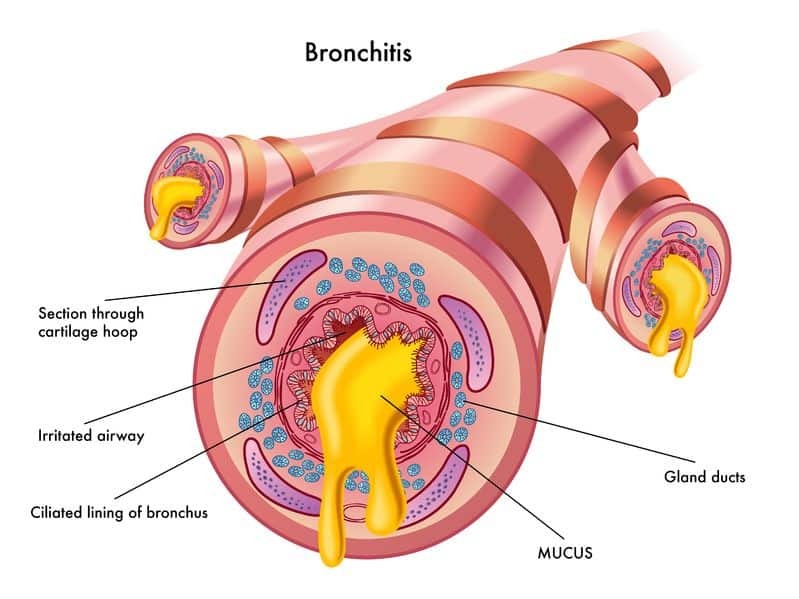 In today’s segment, we’ll be looking at what exactly bronchitis is and how it presents itself in the human body. We’ll also be digging into some of the different causes of the disease and risk factors to watch out for. For those of you fearful of bronchitis, we’ll look at how you can prevent it in the first place. And if you already have it, there’s nothing to worry about. 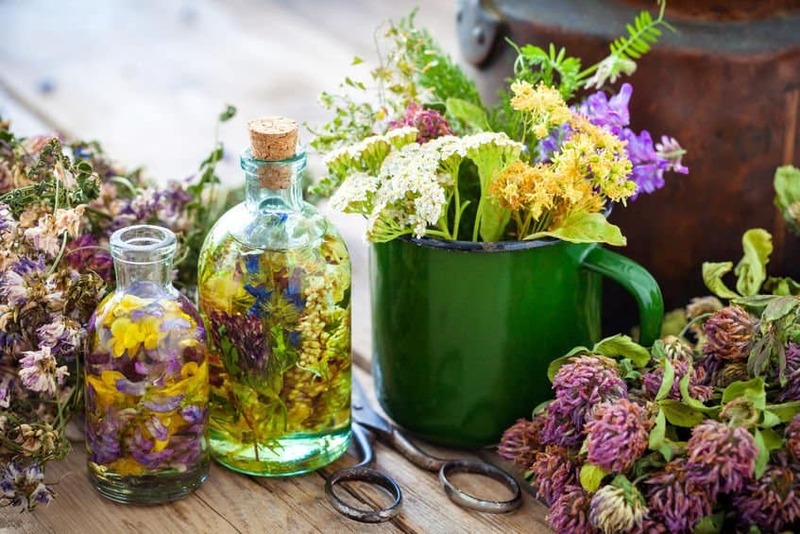 Olivia’s got all the available western medications to add to your knowledge, the best natural treatment for bronchitis as well as some effective home remedies to ease the old chimney. So stick around folks, because you’re going to love reading Olivia’s ultimate guide to everything you need to know about Bronchitis. Here’s one of the rare cases where a medical term for a disease actually says it all. As the name suggests, bronchitis is simply the inflammation of the large and medium airways in the lungs known as bronchi. When these tubes get swollen, you end up with a nagging cough, a lot more mucus, shortness of breath, unexpected wheezing and other symptoms that we’ll look at shortly. Basically, bronchitis is divided into the two main types – acute and chronic. Also known as a chest cold, acute bronchitis is a short term inflation of the bronchial tubes in the lungs. It usually follows a viral infection or cold and is characterized by symptoms such as a cough, mucus, fever, wheezing, and chest discomfort among others. What separates it from chronic is that acute bronchitis only lasts two to three weeks. Similarly, this type of bronchitis doesn’t cause any lasting problems. Chronic bronchitis is a very serious condition in that it either keeps coming back, or refuses to go away at all. This ongoing illness is characterized by persistent, mucus producing coughs that could last anywhere between three months to two years. Other symptoms include varying degrees of breathing difficulties. Studies show that most people with chronic bronchitis tend to have Chronic Obstructive Pulmonary Disease (COPD). Here’s a complete list of all the symptoms to watch out for in both chronic and acute bronchitis cases. As you would expect the different types of bronchitis all have their individual causes and risk factors. In the case of acute bronchitis, more than 90% of all cases are caused by a viral infection spread through the air when people come into contact or cough. Chronic bronchitis on the other hand sites cigarette smoking and tobacco use as the main cause. The risk factors for both include chronic inhalation of air fumes, dust, pollution, and hazardous occupational exposure. Let’s expand on the causes and risk factors of bronchitis. As explained above, more than 90% of all cases are caused by a viral infection spread through the air when people come into contact or cough. This is usually flu infection or colds that develop into bronchitis. As the primary cause for chronic bronchitis and top risk factor for acute bronchitis, cigarette smoking plays a significant role in causing disease. In America alone, about 70% of people who have chronic bronchitis are either smokers or former smokers. Generally, the risk of developing bronchitis increases with total smoke exposure. So the longer you smoke, the higher the chances. Apart from tobacco smoke, other types such as cigar, water pipe smoke, and marijuana also pose a risk albeit with very heavy use. In developing countries, the main cause of bronchitis is usually indoor air pollution from poorly ventilated cooking fires fueled by charcoal or wood. While urban air pollution also plays a role, its effects are minimal. Here’s another rampant cause of bronchitis in both developed and developing countries. Prolonged and intense exposure to workplace chemicals, dust, substances, and fumes substantially increase the risk of chronic bronchitis. Some of the industries infamous for workplace exposure include gold and coal mining, welding and paint fumes, and the cotton textile industry. If you do not yet have bronchitis, there’s a lot to be thankful about. But this doesn’t mean that you are completely out of the woods yet. To reduce your risk of getting bronchitis, you can take the following steps. While most cases of acute bronchitis tend to go away on their own without any specific treatment, there is no known cure for chronic bronchitis. However, there are plenty of ways to treat the symptoms and delay the progression as much as possible. Typically, the goal of the treatment is to reduce risk factors, prevent and treat acute exacerbations, manage the condition and any associated illnesses as well. I’ve compiled some of the most widely preferred treatments and management techniques for bronchitis. There’s a particular exercise program known as pulmonary rehabilitation that is recommended for the benefit of the patient. This rehabilitation has proven to improve the ability of the person to exercise while also enhancing the overall quality of life. This treatment uses optimal exercise routines, non-invasive ventilation, arm workouts, breathing exercises, Tai Chi exercises among others. Although inhaled corticosteroids haven’t shown any benefit for individuals with acute bronchitis, they have proven useful for the chronic part of the disease. They seem to decrease and even prevent acute exacerbations from taking over. However, steroid use is still associated with some pretty adverse and significant side effects. Similarly, using long-term antibiotics such as erythromycin also reduces the frequency of exacerbations. However, this cost-effective treatment is also not without fault. There have been more and more reports of antibiotic resistance and hearing problems. While helpful for bronchitis patients, bronchodilators result in very dismal benefits. These agonists and anticholinergics work by reducing shortness of breath, wheezing and improving exercise limitations. So while they won’t do anything for the underlying disease, they help improve the individual’s quality of life. But just like most western medicine, side effects seem to come hand in hand with most medications. 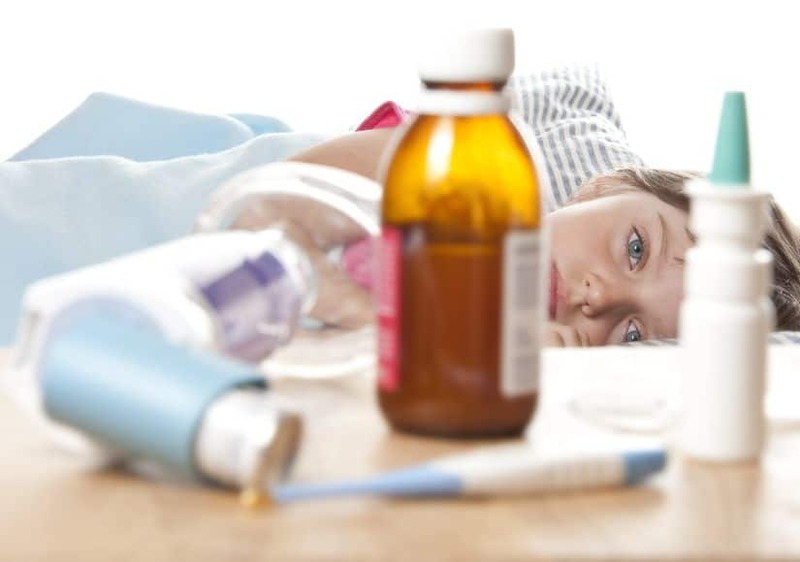 Long-term use of bronchodilators has been associated with significant and adverse side effects such as shakiness, fatigue, heart palpitations and increased risk of pneumonia. One of the inevitable effects of chronic bronchitis is a decreased ability of your body to take in oxygen. So if your oxygen levels get lower than 50mmHg with saturations of less than 88%, a doctor will usually recommend supplemental oxygen. If used for about 15 hours a day, supplemental oxygen reduces risk of heart failure and death substantially. Similarly, it helps improve the body’s ability to exercise, improve shortness of breath and impacts quality of life. However, this will have very little to no effect if the individual continues smoking. For individuals with extremely severe and advanced chronic obstructive pulmonary disease as a result of bronchitis, doctors will recommend an array of surgical procedures as a last resort. The first one is usually a lung volume reduction surgery that removes those parts of the lungs significantly damaged by the disease. This allows the remaining portion of your relatively good lung to expand and perform better. However, this procedure increases the risk of early death and comes with adverse side effects. In more severe cases, there is usually no other option but to get a lung transplant. Along with your heart, the respiratory system is solely responsible for an array of vital functions in your body. Therefore, any decrease in the level of respiration can have adverse effects on both your physical and mental health. I’ll be the first to laud pharmaceuticals for how far they have come in regards to treating bronchitis. But if we’re being honest, corticosteroids, bronchodilators, and long-term antibiotics just aren’t for everyone. Some of these drugs can have adverse and damaging side effects that include headaches, drowsiness, restlessness, shakiness, high blood pressure, rapid heart rate, pneumonia, headaches, among others. With Mother Nature’s help, essential oils have genuine benefits when used in the right way. And when it comes to bronchitis and other respiratory diseases, you’ve got to respect the power of essential oils. Packed with decongestants, antiseptics, sedative, relaxant, antibacterial, antifungal and anti-inflammatory properties, nothing works better for the respiratory system than essential oils. What’s more, the mere fact that you can easily sneak them into your respiratory system makes them the ideal treatment. Whether it’s hacking, coughing, congestion, nasty colds, flu, stuffy noses, asthma, emphysema, fibrosis, bronchitis, COPD, or any other respiratory issue associated with acute and chronic bronchitis, I’ve compiled only the best essential oils for the job and some age-old recipes to help you put out oils to good use. For centuries, oils like Oregano and Ginger have been helping people find relief from coughs and a wide range of upper respiratory issues. Packed with anti-inflammatory, calming and anti-aging compounds, Oregano EO is precisely what the lungs need to kick-start the healing process. You already know about the potent expectorant abilities of ginger, which is what makes it another critical ingredient in our syrup. To make use of this recipe, place the honey in a glass and add your essential oils one by one while stirring. Once everything is well mixed, down the hatch it goes. Conventional cough recipes have too much sugar and often come with side effects. This home-made syrup will not only soothe sore throats, but also boost the immune system and let you breathe much easier by eliminating the excess mucus associated with bronchitis. And don’t forget to always consult your doctor prior to ingesting any essential oils. When it comes to bronchitis, you can always be sure that shortness of breath will be a day to day issue. As such, the last thing you need is a clogged or stuffed up breathing system. To make sure that your respiratory system is wide open and fully functional, a homemade vaporub can help your system take in even more oxygen and allow your body to overcome exercise limitations. For this recipe, get a large mason jar and pour in all the virgin oils and beeswax. Heat a little water over a pan and place the mason jar in until the contents melt. Stir to mix the beeswax and virgin oil and once they’re well mixed, allow them to cool and add in the essential oils. Pour your mixture into containers and allow it to set. You now have a pretty effective, all natural vapor rub blend that will help soothe irritation and substantially improve your breathing when you’re feeling wheezy. The quickest way to your lungs is through the breathing system. That’s why anyone with chronic bronchitis needs to learn how to make their own EO inhaler. When done right, this formula will not only help in reducing shortness of breath, wheezing and coughing, but also prevent acute exacerbations from completely taking over. 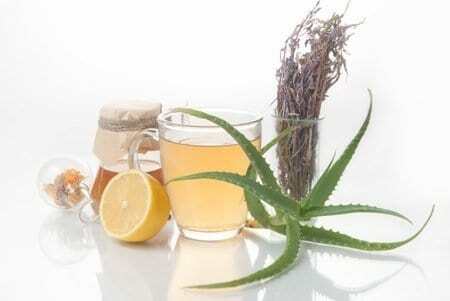 What’s more, it will also help heal some parts of the lungs damaged by years of bronchial inflammation. For this inhaler to work, you’ll need to boil about 4 cups of water in a small pot and add the essential oils in after turning off the burner. Next, cover tightly with a lid and wait for a few minutes before removing it. Quickly lean over the pot and cover your head with a towel to ensure none of the vapors are lost. Breathe in the inhalation blend every 10 to 30 seconds and remember to keep your eyes closed to protect them from the steam. Trust me, learning how to make this homemade inhaler will really do you a world of good. Sometimes, the symptoms of COPD could really be overwhelming and brutal. This especially applies to individuals with acute exacerbations which can make life very uncomfortable for the person. To resolve a cough, acute exacerbations, stuffiness, congestion, and other breathing problems, simply place a drop of the above essential oils under the tongue. Alternatively, you could dilute the oils in water or tea. As always, consult your doctor prior to ingesting any essential oils. Most cases of bronchitis are usually accompanied by a blocked, stuffy nose and airways full of mucus and phlegm. For this, you’ll need some of the most powerful essential oils for the job. For this mix, simply add in the essential oils drop by drop in your diffuser and enjoy the benefits all day and all night long. 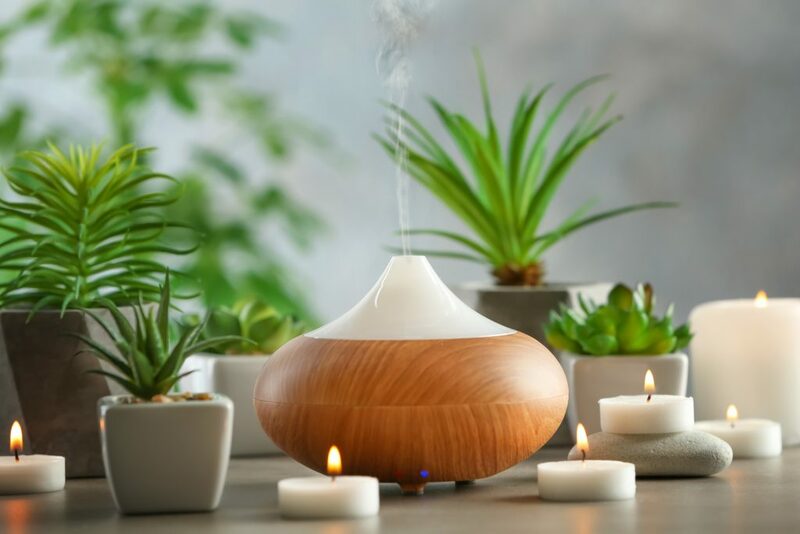 However, you are advised to clean out your diffuser regularly to avoid buildup of bacteria and mold. 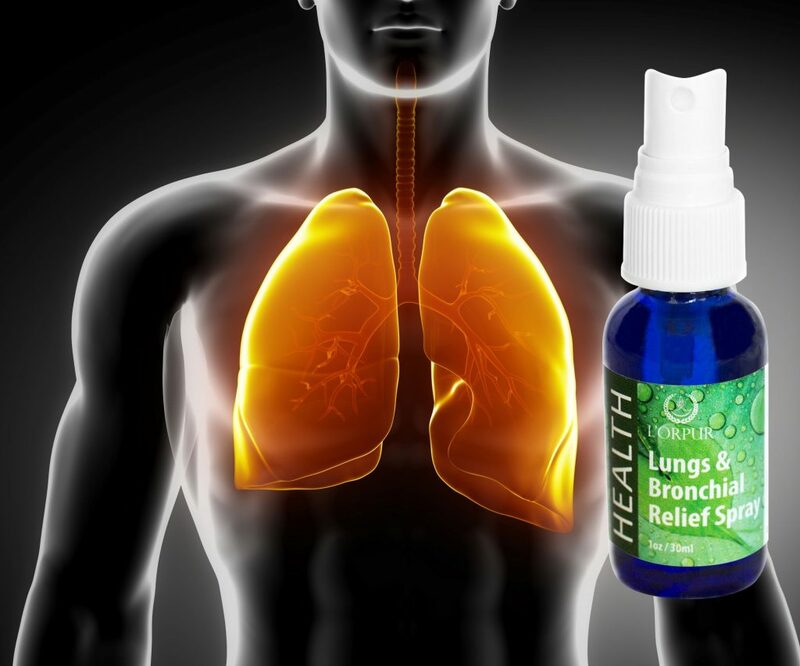 Eucalyptus and peppermint have been in use since the beginning of history when it comes to lung treatment. In itself, eucalyptus is an incredibly powerful decongestant with potent antiseptic and expectorant properties. What’s more, it absorbs immediately into the lungs for faster healing. I added peppermint and lavender essential oils due to the cooling and rejuvenating effect while the Rosemary gives your immune system a much-needed boost to overcome infection, bacteria, and other risk factors for bronchitis. As the main symptom of bronchitis, coughs can have extensive reach when it comes to battering your body. That’s why it’s not uncommon for doctors to prescribe pain killers. Mine however is an all-natural analgesic. Start by combining the essential oils drop by drop in a glass or bowl. After that, proceed to add in your carrier oil of choice and mix thoroughly. Apply the blend to aching parts of your body such as chest, back, throat, temples, head, and joints. This body rub will not only help with pain, but the essential oils I chose come with some hidden benefits. For starters, the lemongrass oil is packed with antimicrobial, analgesic, antiseptic, bactericidal, diuretic, and fungicidal properties in addition to its sedative capabilities. This makes it quite the useful oil for relieving headaches, calming irritated airways, relaxing your nervous system, and treating other symptoms associated with bronchitis. This blend is further complemented by ginger and its powerful anti-inflammatory capabilities which allow it to heal your inflamed bronchi and irritated airways. Like all other diseases and ailments, there’s always something you can do at home to help relieve the symptoms and probably even treat your bronchitis altogether. 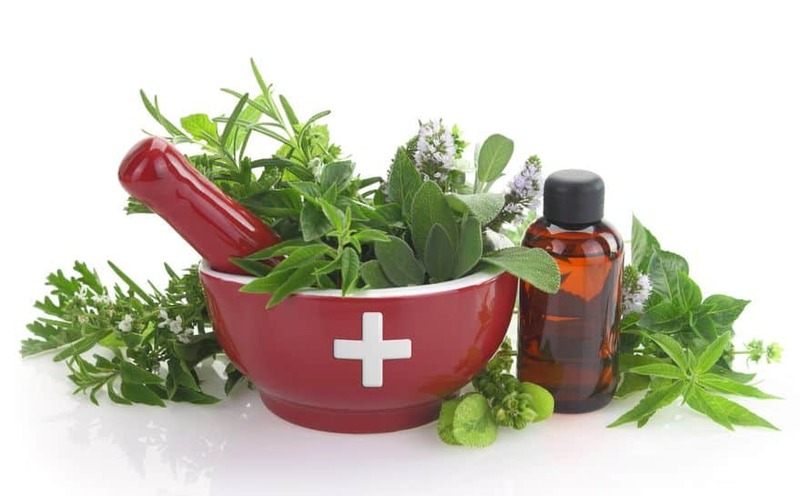 So just in case you don’t have some essential oils handy and don’t want anything to do with pharmaceuticals, then here are a few bronchitis remedies you could try right at the comfort of your home. That’s right; it’s not just a folklore. Your grandma’s favorite soup and broth is also a treatment for bronchitis, colds, coughs, allergies, and pretty much any other ailment. Back in the day, it seemed like a nice bowl of chicken soup could literally cure anything. Today, studies have actually revealed that chicken soup is effective when it comes to reducing symptoms of upper respiratory infections in particular. And in addition to getting relief for the common cold, the nutritional value in chicken soup doesn’t hurt much either. We all know that honey is packed with antimicrobial, antibacterial, and an entire host of other medicinal properties. Research shows that honey also contains expectorant properties similar to most over the counter cough suppressants. The only difference is that honey is safe for children and adults alike and contains absolutely no side effects. Drinking some honey mixed with lemon tea can really work wonders in treating your bronchitis while a spoonful of the stuff before bedtime helps kids with acute or chronic bronchitis sleep soundly. The unmatched health benefits of ginger have been praised and touted for centuries if not millennia. Today, we can at least say we have tangible evidence of its potent medicinal properties. A couple slices of raw ginger chewed can really help restore lost function in the respiratory system, ease a sore throat, ward off a cold and manage productive coughs. If you can’t take it, try boiling the ginger in hot water and adding in some lemon to make one hell of an anti-bronchitis attack tea blend. If there’s one thing you should know by now, it’s that steam can be a very dreadful enemy to coughs, colds, congestion, and other symptoms of bronchitis. So you should try to take advantage of steamy situations whenever you can. For one, you can always crank up the hot shower, close all windows and turn off any fans and ventilation to get a good, thick steam-room situation going. The steam works by getting into the lungs, soothing the irritated airways, loosening buildups of mucus and decongesting your respiratory system. Take some EO assisted hot showers and baths whenever you need some instant, soothing decongesting. There you have it my respiratory challenged readers; all you need to know about bronchitis right at the tips of your fingers. With this information, dealing with bronchitis and other respiratory infections the right way should be much easier now. But no matter which treatment route you choose, remember to give your body a chance to heal. Don’t be too eager to pump your system full of useless antibiotics and harmful pharmaceuticals. Just take good care of yourself and you’ll have the bronchitis in control soon enough. But if the symptoms stretch on for weeks without any visible improvements or reprieve, then you should consult a doctor to check for underlying conditions or more serious respiratory infections. 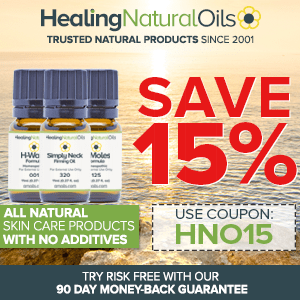 Essential Oils For Breathing Difficulties: Don’t Take Breathing For Granted! Your herbal remedy really helped me to cure the deadly COPD disease that almost took my life, i just want to say thank you and how much it really meant to me, i will make sure i tell the whole world about your essential oils. Thanks so much. Your email came at the exact right time! I had just gotten a prescription of Tamiflu for the U.S. flu virus that I seemed to have acquired even after have a flu shot in September. I haven’t been this ill in over 10 years! I was able to mix up the chest rub and inhaler recipes as preventatives for bronchitis, and so far, so good! I am so glad to have your essential oil information and recipes come to my inbox on a regular basis. I and my family benefit from your extensive knowledge. It is my pleasure. I’m glad that the essential oil recipes are working well for you and your family. Trust you get better soon. When put in the diffuser, do you also add the water? Both of my diffusers use water and oils. Perfect timing I currently have acute bronchitis. I will try these recipes starting today. Thank you for sharing. You’re very welcome, thanks for reading my newsletters.